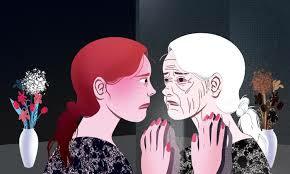 No matter how much we try to delay it, ageing is bound to occur as we advance in years. Many adults fear ageing and take radical measures like surgery to try and look younger. The key to ageing gracefully is to place a premium on your health and lifestyle while you are at your peak. The lifestyle you adopt while you have the energy and supposed invincibility of youth will begin to reflect as you grow older. You can look forward to a healthy old age by implementing lifestyle changes and moving away from the harmful habits we would discuss in this article. Sleep is often considered dispensable in the search for money and career advancement. Long nights are often followed by stressful days powered by caffeine and sugar. Good sleep is supposed to relax you and help your skin regenerate. When you follow a poor sleeping pattern repeatedly, it has very serious effects on your face and complexion. The dangers involved in excessive sugar consumption are well known . However, its effect on the ageing process are even more harmful even though a lot of people are oblivious to this fact. Sugar in the bloodstream attaches to proteins through a process known as glycation and forms a component that becomes toxic to surrounding proteins. This affects proteins that are essential to the skin like collagen and elastin which help keep the skin strong and supple. As a result, the skin begins to experience thinning and wrinkles are more visible as ageing is brought on faster. The calm and relaxed feeling brought about by alcohol comes at a very high cost to your body and skin. Its continuous process in the bloodstream leads to loss of elasticity in blood vessels and affects the supply of nutrients to the body. Your constant drinking prevents the skin from getting vital nutrients and vitamins which affects its appearance. A cigarette comes with a variety of toxic chemicals with harmful effects on the body. These cigarette components include tar, nicotine, arsenic, carbon monoxide and cyanide. The continuous use of cigarette will lead to cell damage caused by its toxic components. The body’s response is to try and clean this mess up and restore normal function. As a result, there is no time for it to take care of itself. This leads to low blood supply to the cells and vein constriction.